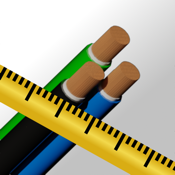 Convert your AWG wire to square millimeter using the "AWG to mm²." Rotate the picker to select your gauge value and see the result. You can convert from AWG gauge to square millimeter or square millimeter gauge to AWG. This App works with commercial value only. You won't have more problems to convert real wire gauge!